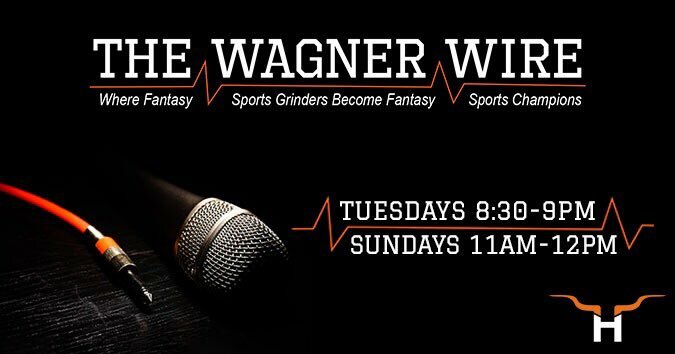 The Wagner Wire » Sweet Fantasy – Playoffs? If the regular season is a marathon then the Fantasy Playoffs are a street fight where anything and everything is allowed. You’ve worked hard all season to assemble a team worthy of taking home Fantasy Gold. This is a guide to what to do and not do in the Fantasy Playoffs. If you’ve played fantasy football for even a few years then you know that match-ups play a big part in deciding whether your players come up big or fall short. You shouldn’t ignore match-ups once the playoffs start but you also shouldn’t start a guy off the waiver wire with a nice match-up over Antonio Brown. I’ll never forget back in 2008 I got my e-mail read on Matthew Berry’s podcast, The Fantasy Focus. I was in the playoffs and I asked if I should start Davone Bess over Randy Moss. The response I got was “Hey Dummy, play Randy Moss”. Don’t overthink it. Unfortunately, you are going to need some luck no matter how good your team was in the regular season. All it takes is one bad week and that glorious season you had is quickly forgotten. An injury could knock your star player out in the 1st quarter and have you taking an early exit. It doesn’t matter how strong your team is, you will need some luck to win that elusive title. Make sure to monitor the Weather more than you normally would. The Fantasy playoffs fall squarely in the winter for a lot of Cold Weather teams. The weather has killed more than a few strong passing attacks over the years. Back in 2013, I was playing a heavy favorite with Calvin Johnson on his team. Calvin played in a blizzard in Philadelphia and it crushed the Lions passing attack. On the other side of the coin, a star RB playing in the snow can see an increase in carries and yards. While it may be impossible to sit a player the caliber of Calvin Johnson, it still needs to be monitored. The majority of Fantasy owners barely give much thought to team Defense most of the year. While Team Defense can be a bit of a crapshoot most weeks, it is a decent strategy to drop a few position players you are never gonna use late in the season for a few Defenses that have favorable matchups in the Fantasy playoffs. One year in the fantasy playoffs I picked up Arizona for a spot start against a bad opponent and got over 30 points from them. They helped me upset the #1 seed. You need any advantage you can get in the playoffs even a small one. Not every playoff team is a favorite riding an impressive 10-3 record. There are plenty of 6-7 teams that really aren’t that good and may have won a few weeks where they barely scored. Once the playoffs start though all it takes is a few breaks and the 6-7 team can be wearing the Gold Belt. Don’t be afraid to go dumpster diving. Pick up the RB or WR that is getting a spot start. Play the guy on your roster that is either gonna get a 0 or a 25 and nothing in between. Go down swinging. Back in 2013, I was a 6-7 team that barely scored points playing the top scorer in the first round with an absolutely loaded team. I picked up Raiders FB Marcel Reece who was making a spot start against the Jets top-ranked Run D. 161 total yards and a TD later and I was moving on to the Semifinals. We all have tough decisions to make and the playoffs magnify those decisions. Make a decision and stick with it. Try not to tinker at 12:30 on Sunday of your playoff match-up. Swapping out the solid starter you’ve been playing all year for someone you never play at the last minute is not a sound strategy. In my long-time Dynasty League, the Top 2 seeds both lost in the Semi-Finals last year when they sat guys they had been riding all year for less stable options. All it takes is one mistake to stop you from holding the Title. That will do it for this week. Good Luck to everyone in the playoffs. As always I’m your Sweet Fantasy.